In the modern mash-up of radio waves, podcasts, blogs, vlogs, and short films there are many outlets vying for our attention. When a million people are trying to tell you their opinions on life it is hard to find an unassuming outlet whose sole purpose is to provide art for the sake of art. Enter WAYO radio. 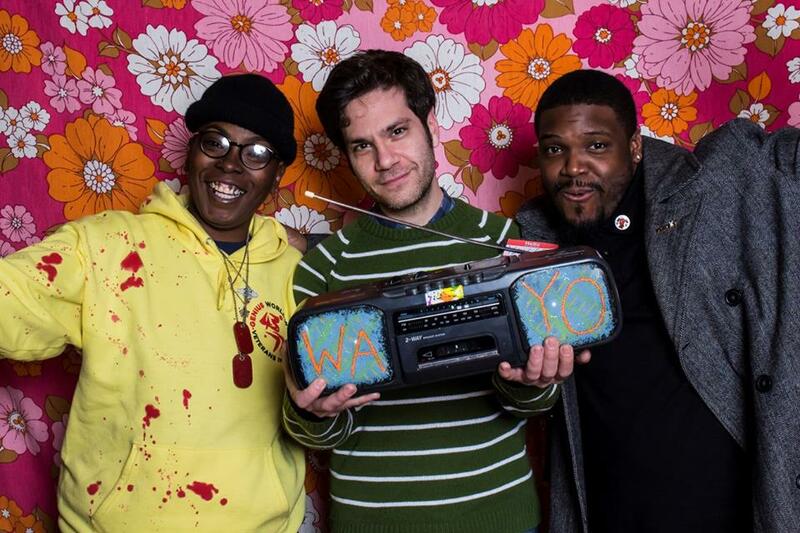 Teaming up with MuCCC in 2015, WAYO has created a low power free-form radio station providing Rochester-centric content. We met up with one of the founders, Mike Yates, at the beginning of the year to learn how WAYO was started and what's next for the community radio station. Joe Palmateer: 2017 is the start of your second year on the air. Mike Yates: We have been online since November 2015. January 4th is the one year over the radio. It has been great. We are really close to having twenty hours of human beings a day. We broadcast 24/7 but some of it is an automation system that is playing music out of a pool when no one is there. We have a couple more spots to fill before we are 6 am to 2 am every day. Not just stuff, but programs we are very proud of. People are putting so much of themselves and working so hard on their shows. We have a good leadership team. We have really beautiful, efficient studio space. We have not had any financial crises, which has been a good thing. MY: Right now we are doing an annual campaign for the radio station. We have three major revenue streams, one is the annual campaign. One is underwriting, and the third is the fee that our programmers pay monthly. we have a sliding scale of 6 to ten dollars a month. It goes exclusively to rent. people are making payments to keep the lights on and keep the doors open. It is basically to assure that the station keeps going. It is not mandatory, We don't take time slots away if someone can't pay for a month. JP: How did WAYO first get started? MY: The first meeting between Matt Werts and I was in February 2012. It was a four-year project before it came to fruition. The legislation was created in 2011 that made it easier to start low wave radio stations. JP: Have there been a lot of radio stations that have spawned because of that law loosing up? MY: I have seen 750 as the number of stations that have opened since then. JP: You received help from MuCCC correct? MY: They hold the license itself. Their board is our board. They provide oversight and give us someone to be accountable to but they are not involved with the day to day of the station. We have built a trusting relationship with them and they trust us to run our own station. Prometheus Radio Project helped in the founding. They are a nonprofit in Philadelphia that has been around for some years and helped the passage of that bill in 2011 once it was passed they shifted gears to supporting applicants applying for a license. we were accepted into their torch bearer project that gave us a case manager who walked us through the FCC application. They connected us to an engineer. Who helped us do the study required by the FCC and prove we were not going to interfere with existing stations. JP: How large is your span? Roughly four miles, it depends on which direction. North and east there are not many obstructions We have heard of people getting it on the lake and in Wayne county. The problem with south of us is you run into the hills and going west the buildings downtown themselves act as a barrier. JP: What I really like about WAYO is the amount of content that has spawned since you began. Was there a big surge of people looking to start a show when you first launched? MY: We started recruiting people in April of 2014. We knew some people who wanted to be a part of this. We also have gotten people that I have never met until they put the application in. It has turned the station into so much more than what it was in my head. People brought themselves to it and their networks and their ideas. I think it was kind of a stepping stone. Someone would apply we would talk to them. They saw what we were about and gave us the opportunity to earn their trust. They became a cheerleader for the station and brought more people in. JP: It is interesting to see how WAYO has grown in the last year. What are some of the biggest accomplishments you have had this year? MY: Financial stability with something like this was a huge challenge that we accomplished. Training people. I think the first year was a lot of internal goals we, of course, want people to listen and enjoy. We have launched but were still in the start-up period it was about training all of our programmers and I think we came up with a program that worked very well. there were somethings that we didn't even know it would be a problem until it happened but I think we found a way to address them I think a huge accomplishment is we have been able to not only bring people to the station but our retention rate is very high. No one has left because they hate us. people have left because they went to school or got a job or left simply because they could not do it anymore. I think the leadership team has shown people that we are there to support them and to achieve the vision they have for their show. We are not there to circumscribe what they are doing or editorialize what they are doing. I think we built an organization that is very inclusive, supportive and personable group. We worked very hard to make that happen. I think that is a huge accomplishment. We have also existed for a year without any major technical malfunctions. we have had a few hiccups but there has not been a day where we are off the air. All of that work is being done by two engineers who are doing this with no traditional compensation because they believe in it and want to be a part of that. they are amazing people who this is their station as much as it is anyone else. I think we have been able to connect with the music community and its totality in Rochester. I think when people talk about the music community they are often talking about their slice of it. I think through the depth of our programming we have been able to really engage with a lot of corners of it. MY: I think the ongoing challenge is that people are doing this in the cracks of their work, family, life. You can low-power station, you can call a community station, an all-volunteer station. But at the end of the day, we are keeping a full station going. We have 200 volunteers that is much larger than many organizations whose staff is paid. So it is so much work. Speaking for myself I have been through cycles of burnout. Exhaustion is a constant challenge. I do it because I feel a sense of purpose. This is the thing I am supposed to be doing but it is hard. I am hard pressed to put my finger on a major setback we have not been able to figure out. But the station is a lot and the people who are a part of it do a lot of work to keep it going. JP: You were a DJ for WITR for six years before starting WAYO what made you want to get into broadcasting? MY: I think it was something I always enjoyed growing up. I would listen to WBER, PXY, and WITR. There are cassettes of me and a friend dubbing a song to a cassette then basically doing mic breaks in between songs. That is something no one will ever hear, but they do exist. I think it was something growing up pre-internet that I always engaged with and enjoyed when I moved back to Rochester in 2008 I ran into a friend who had been in radio forever. She was at WITR, so I asked about getting trained. I thought I would get trained and pay my dues and maybe I'll have a show. It was summer at WITR. The schedule was empty because all of the students were gone. So I got trained and in two weeks I had a show Wednesday afternoons. I bounced around for a bit until I had a stable time slot. WITR provided an opportunity to do it week in and week out and figure out what I wanted to do a show and how to develop it and what I wanted to with it. WFMU is jersey city NJ which is a very prodigious long form radio station was a model for what I wanted radio to be. When it came for WAYO it was what I wanted our station to be. JP: Is it weird from trying to find a balance between doing your own show and running the organism that is WAYO? did you have any experience in running your own station? MY: No, we learned as we went. It was a lot of trusting our instincts and trying to be transparent and honest with people. I mean I think it's comically ridiculous that some as introverted as myself as the head of this organization. But maybe that played to my benefit. Because I am who I am and I couldn't do a slick pitch to someone even if I wanted to I think it helped in some ways because it felt it came from the heart to people. I think they picked up on that. JP: What do you hope to accomplish for the station next? MY: We are a year in but I think we are still in the start-up period. It is still about building infrastructure. We had a structure for the leadership team that has changed over this year as we did it and figured out what worked and what didn't work. We got to a point where we have really good people working on WAYO. I think figuring out how to keep working together as a team is a good goal. We want to start offering tools to help our programmers develop their shows. We have a performance area now where bands can play live on the radio. We want to keep building up what we can do and bring in members of the community to learn these skills. JP: What do you like listening to? MY: My tastes I guess you could put broadly in the rock category. I have dabbled elsewhere I think we have always wanted this station to be larger than our own tastes but I think I am someone who is curious about all forms of music. It helped to have this station that could capture so much. Rock music from different areas, with R&B, soul, more experimental stuff, or more pop stuff is what really engages with me. Joe Palmateer is a freelance writer and music columnist. He previously founded the Rochester Insomniac Magazine and now knows too much about local music to stop writing about it. 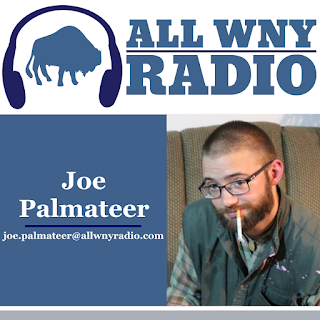 You can contact him at joe.palmateer@allwnyradio.com.